The perfect accessory for adding style and illumination to your interior, our Small Kiln-Fired Grey Table Lamp introduces earthy textures in a neutral colour palette that will suit any décor. 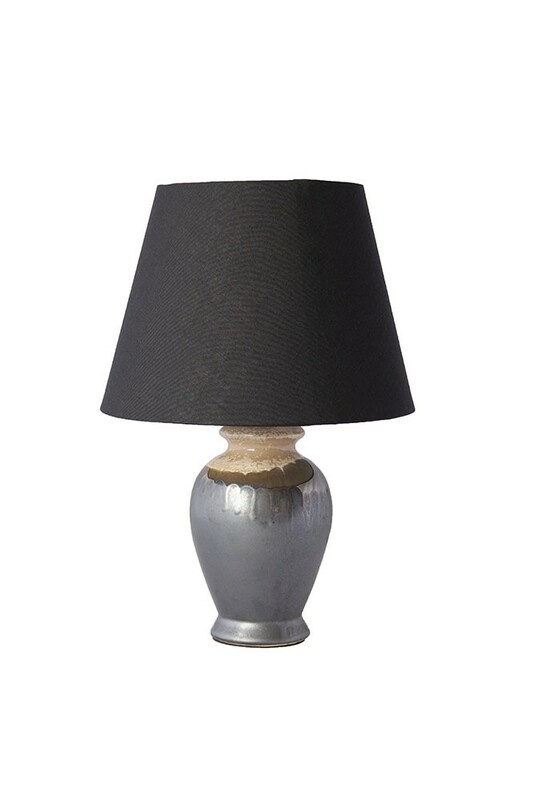 Made using traditional kiln-fired techniques, the Small Grey Table Lamp features a beautiful ceramic base and classic black lampshade. 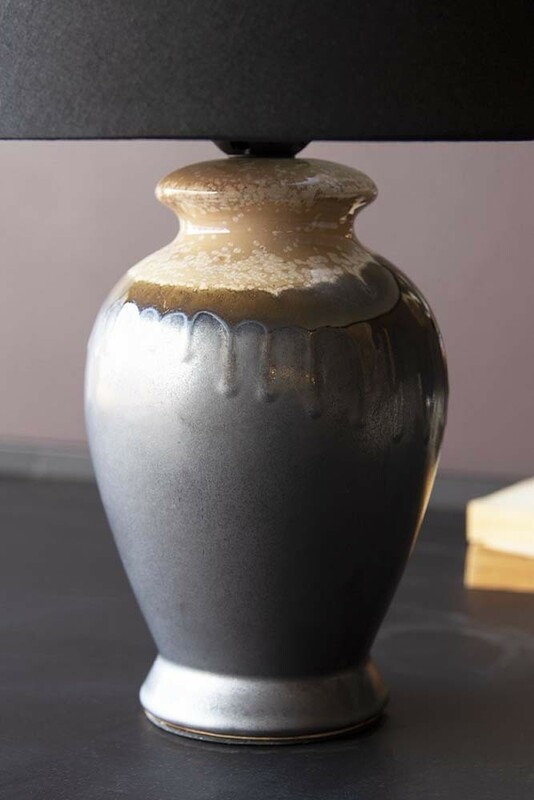 The Small Kiln-Fired Grey Table Lamp measures diameter 12cm x height 24cm and is great for adding a splash of rustic texture to living spaces. As a simple and chic update to your lighting, the Grey Kiln-Fired Lamp helps transform the rooms of your home with earthy ambience. Celebrating a neutral colour palette, the Grey Table Light reveals subtle patterns created in the kiln-fired process that add to the unique charm of this piece and looks amazing when paired alongside the other on-trend earthy trends; from terracotta and ochre yellow to our very own rich Briarwood paint pictured here. Super versatile, the Small Kiln-Fired Grey Table Lamp can be moved around the house to add extra lighting throughout the seasons. Whether you’re looking to light up your favourite cosy armchair in the corner, create a statement on the console table in the hall or introduce softer lighting to your bedroom, the Glazed table Lamp adds instant ambience. 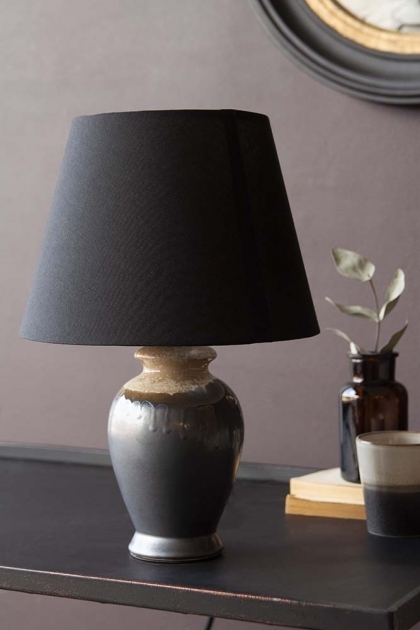 To showcase the beautiful kiln-fired textures, style the Grey Table Lamp with natural materials and layers of washed linen for effortless, laidback living.